In his late teens Bruno Verret didn’t understand wine. In fact, he didn’t like wine very much. After completing his baccalauréat général, he left for Bordeaux to continue his studies there. And that’s where he discovered wine. – As a young winelover I was very much into the chateaux of Bordeaux, he says. I had discovered the complexity of wine, something I enjoyed very much. You end up with many questions and hypotheses, and conditions that change all the time. Even if you get the hang of the chemistry involved, you have ever changing conditions like the weather. I love it. You learn all the time. 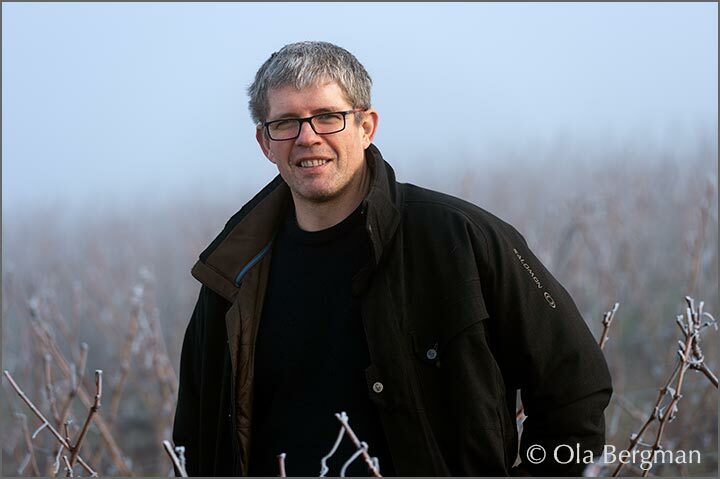 In 1995 – after work experience placements in Bordeaux, Cognac, Savoie, Chablis and Australia – Bruno Verret returned to the family domaine in Saint-Bris le Vineux. 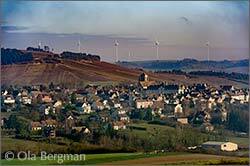 The village, a 20-minute drive southwest of Chablis, is one of Burgundy's exceptions. The village appellation – Saint-Bris – is the only one in the region which allows the sauvignon grape. – When I started in 1995 I told someone I was the first generation of my family to make wine, says Bruno Verret. It didn't go down very well with my family. 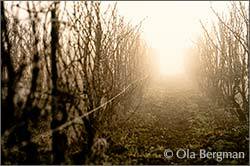 But for my grandfather it was important to have vineyards, lots of land. For my father it was important to produce grapes. Making wine and bottling was not important. There was not much reflection. Domaine Verret covers 65 hectares, which, by Burgundian standards, is very large. 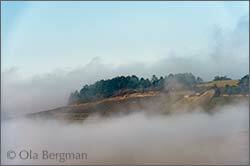 The domaine has been in the family for the past 250 years. Bruno Verret’s maternal grandparents came from neighbouring Irancy, his paternal grandparents from Saint-Bris le Vineux. 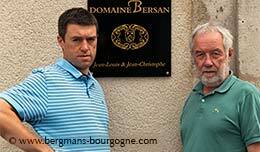 Thanks to very few children in the family the domaine has grown for each generation instead of being divided. – My paternal grandfather began bottling in 1956, continues Bruno Verret. At the time everybody else around here were selling their wine in barrels. He was an entrepreneur. If something came up he would do it, just because he could. It was the same thing in 1973 and 1974, when he bought some Chablis vineyards. Chablis didn’t necessarily sell any better than the other wines of the domaine. It was just an addition to the portfolio. There is both village appellation Chablis and premier cru Chablis at the domaine. In total eight and a half hectares. 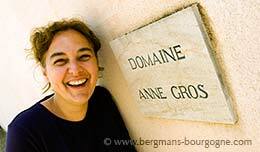 The majority of the vineyards of the domaine are in Saint-Bris le Vineux, about 40 hectares which produce four different appellations – Saint-Bris, Bourgogne Côtes d’Auxerre (in both red and white), Bourgogne Aligoté and Crémant de Bourgogne. In Irancy Bruno Verret has close to 13 hectares, which makes him one of the major landholders of the appellation. – Bienvenu has a bit more. He’s got 16-17 hectares. Christophe Ferrari has about the same. This mix of appellations means that instead of just working with the two major grape varieties – pinot noir and chardonnay – like most growers in Burgundy do, Bruno Verret has a total of seven. There is obviously pinot noir and chardonnay, but there is also aligoté, gamay (for the Coteaux Bourguignons), césar (for the Irancy, blended with pinot noir), sacy (small amount in one of the crémants) and sauvignon. 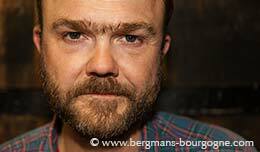 – Saint-Bris is a wine which often has a very strong sauvignon character, explains Bruno Verret. I try to focus on the fruit, so we always harvest the sauvignon grapes last. 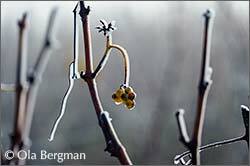 This means more complex aromas in the wine than just the gooseberry character. The sauvignon is always there in the background, but with more roundness. In Saint-Bris le Vineux the chardonnay occupies the well-exposed slopes, while the sauvignon often is found on the almost north-facing slopes or on the plateaux. – The two don’t have the same needs, says Bruno Verret. Especially here in Saint-Bris le Vineux the chardonnay needs sun in order to gain power, roundness and structure. The sauvignon is a grape variety which produces lots of leaves. It’s a bush really. Quite vigorous. – You don’t automatically produce a great chardonnay, but the chardonnay is quite basic. As a grape variety it is not particularly complex. It’s round and flattering. It has more to do with terroir and élevage if you want something special. The village Chablis of Domaine Verret comes from a vineyard between Préhy and Courgis with a bit cooler microclimate. The vines were planted in 1989 and the wine is made in tank. 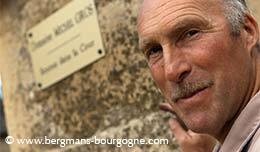 – For the Chablis premier cru I have three parcels in Beauroy, not far from the lake in Beine. The vines were planted in 1976 and 1979. Back then they used a chardonnay muscaté, which means there always is a touch of muscat when you taste this wine. An aromatic Chablis. The village of Irancy is to the immediate south of Saint-Bris le Vineux. This is the home of the césar, a grape variety which may be blended (up to ten per cent) with pinot noir to produce Irancy. 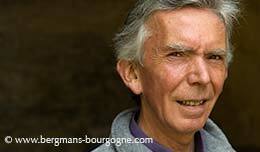 Bruno Verret makes six different Irancy cuvées, both blends and single vineyard cuvées. 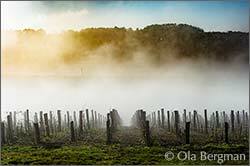 – The austere soils of Irancy mean you will have wines that are not immediately accessible. I make one cuvée without any wood, all in tank, which focuses on the rusticity of Irancy. The largest cuvée is the Irancy, Fût de Chêne. For that one I use barrels which are from three to eight years old. The grapes come from more complex and elegant terroirs – Hautes Charmois, Paradis, La Croix Buteix and La Cave. Irancy, Sillage, is a blend where the majority of the grapes come from Les Mazelots, with small quantities from Palotte and Vai Falleau thrown in. – It was sort of a demand from the restaurants, explains Bruno Verret. They wanted an Irancy which is easy and modern. Roundness and structure. More supple and no new oak. The two single vineyard cuvées from Irancy are Les Mazelots and Palotte. The former is just northwest of the village, while the former is south of the village, just across the border to Cravant. – My parcel in Les Mazelots is at the bottom of the valley, touching the village. Very chalky soil. 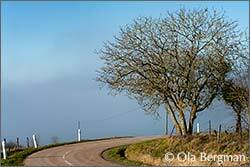 In Palotte you are at the top of a hill, about the route nationale. It is always windy and the conditions for health grapes are fantastic. Just below Palotte is a quarry, so there is a lot of limestone in the soil.